Need some sleep? You’re not the only one! Sleep, that magic five letter word that parents and carers miss dearly in the first few weeks/months/years (choose the right answer) of their children’s life. Before I start this post proper, let me say first that it won’t contain any magic formula to make your little one sleep. It will however suggest a few books you could read together before bedtime which are by their topic and nature excellent incentives to go to sleep and stop fighting about bedtime! 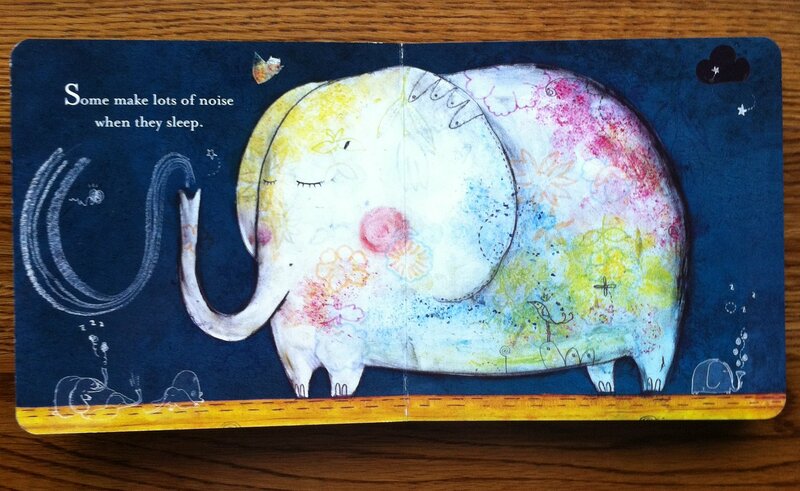 No heavy preaching I promise, but gorgeous and inviting works to show your little ones how delightful sleeping can and should be. 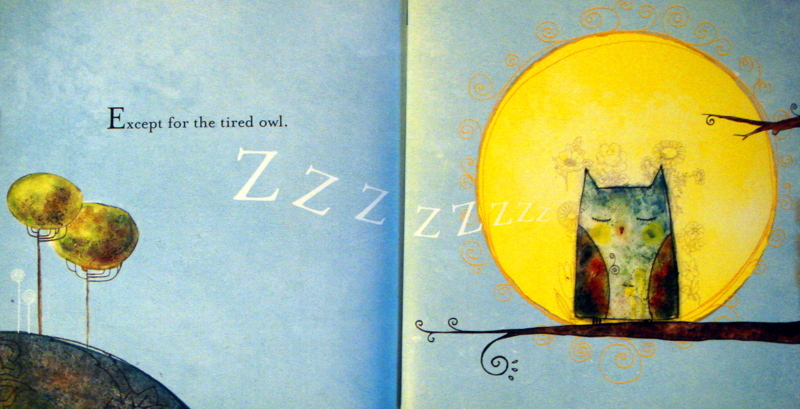 We got Ill Sung Na‘s A Book of Sleep back in 2007 and it’s had a place by my kids’ bedside ever since. 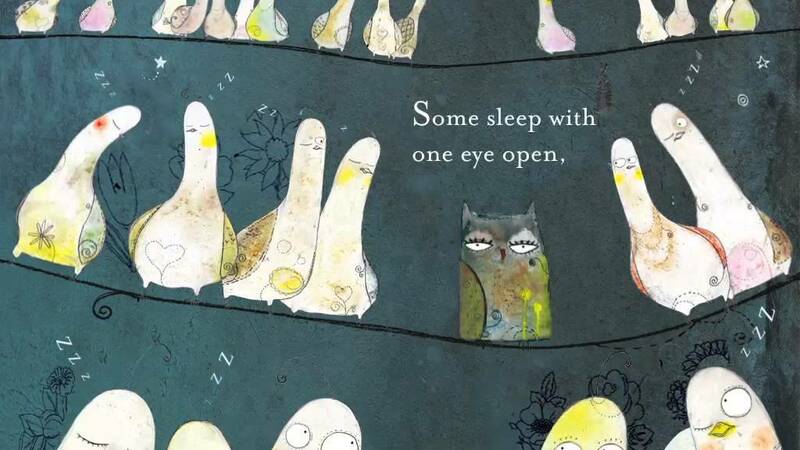 It is a charming and beautiful book describing how all animals sleep at night, all but a little starring owl, who observes the sleepers, that is until the end of the book of course. Whether they sleep in peace and quiet like koalas against a tree, huddled close like penguins, or noisily like elephants, all seem so peaceful and happy once the sun comes up that ,after reading this book, no kid can possibly doubt the benefits of a good night sleep. The background is often a magnificent dark blue, the details on the pages like the fur, feathers, or skin of the various animals are gorgeous, and the book is now available in a smaller and more study format so that the younger readers can handle it on their own with no risk of tearing a page. If your library does not own a copy, go on, give them a nudge and suggest they buy one. Now Good Night Me, a collaboration between Andrew Daddo and Emma Quay, also focuses on one animal, a baby orangutan who, lying in bed, slowly but surely says good night to his feet, his legs, his knees, etc, and thanks them for all the fun they provided during the day. This lovely routine and the little monkey’s monologue like ‘Shhh, mouth, no more questions. Just say goodnight’ perfectly match Quay’s tender illustrations. This is a wonderful celebration of this special moment when you tuck your child in bed and kiss them good night. 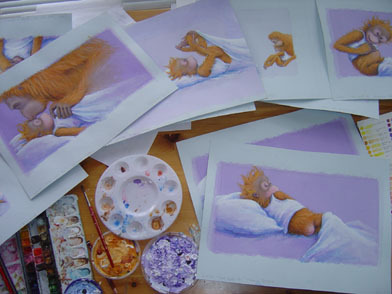 If your child does not find Quay’s purple and blue pastels soothing, he will no doubt relate to the typical childish poses adopted by this cheeky little monkey, like sucking his thumb and hiding under his sheets. In brief, this is a perfect book to learn how to relax before bedtime or to read curled up in bed together. The final book I want to present Susan Gal’s Night Lights is a also a visual treat! Written from the perspective of a little girl coming home from a bike ride with her mother, it describes her evening with one word per page, from their barbecue by the ‘firelight’ to the celebratory ‘candlelight’ of the dog’s birthday cake. The usual suspects are here again, like the ‘reading light’ and ‘night-light’ before the final starlight and moonlight shining over her bed. I love the 1950s retro vibe of Gal’s illustrations, and the fun and tender depiction of her adventures with her furry companion. My son loves the fact that with its one word per page (or double page) it takes no time to read, so I cannot use the excuse that it is too late to read. During the day, he loves making assumptions about the events and asking questions about the other creatures in the book including the raccoons and fireflies. It can trigger long conversations, believe me, so it’s better to read it a few times during the day before making it part of your evening selection! But give it a go, it is a lovely debut book and you can have a look by following this link if you want to. If the science of sleep is something you’re interested in, I cannot recommend enough this brilliant post in Brain pickings and Rosie Blau’s article in Intelligent Life. Good night folks!